Join us Tuesday, October 16 in RTFP 184 at 6pm! Feel free to RSVP to our Facebook Event (link) as well, in case you want to be directly reminded on the day of the event. 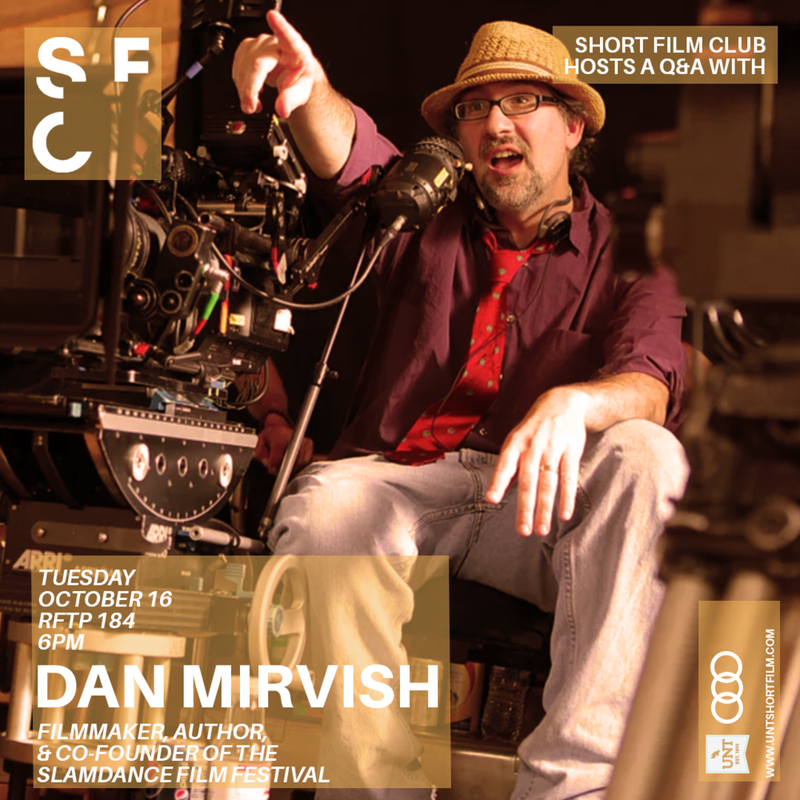 Dan Mirvish is a director, screenwriter, producer and author. He just finished the award-winning, critically-acclaimed feature Bernard and Huey, scripted by Oscar/Pulitzer-winner Jules Feiffer, and starring Oscar-winner Jim Rash and David Koechner. The film has been screened in over 30 film festivals on 5 continents, and is currently in theatrical release by Freestyle Releasing/Entertainment Studios in the US. 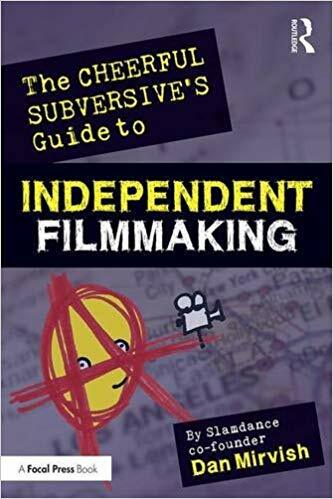 Dan is the author of the bestselling non-fiction book The Cheerful Subversive's Guide to Independent Filmmaking from Focal Press/Routledge. His film Between Us, an award-winning feature (starring Julia Stiles and Taye Diggs) played in 23 festivals in 7 countries, and got a 50+ city theatrical release in the US, and sold to 144 countries, plus screening on Netflix, Showtime, Starz and all digital outlets. Dan was mentored by Robert Altman on his first film, Omaha (the movie), which led him to co-found the upstart Slamdance Film Festival. His film Open House prompted the Academy Awards to controversially rewrite their rules on the Best Original Musical category. 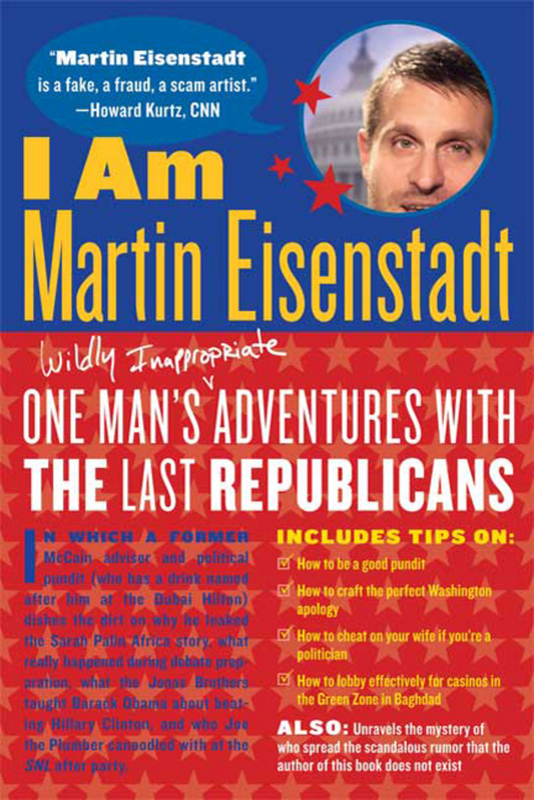 Mirvish also co-wrote his bestselling, critically-acclaimed novel I Am Martin Eisenstadt based on the fake McCain advisor who took credit for Sarah Palin not knowing Africa was a continent. A former speechwriter for U.S. Sen. Tom Harkin, Dan has a master's degree from USC Film School, is a member of the Directors Guild of America and has guest lectured at more than 25 film schools and universities. Huey (David Koechner) crashes at old friend Bernard's (Jim Rash) upscale New York bachelor pad and it becomes clear how much growing up the two still need to do. A madcap adventure featuring a hero on a search for spiritual peace, his dysfunctional family, a pair of Colombian jewel thieves and a roving gang of Iowa kickboxers. Visitors to a newly for-sale house include love-struck police officers and a jewel thief.